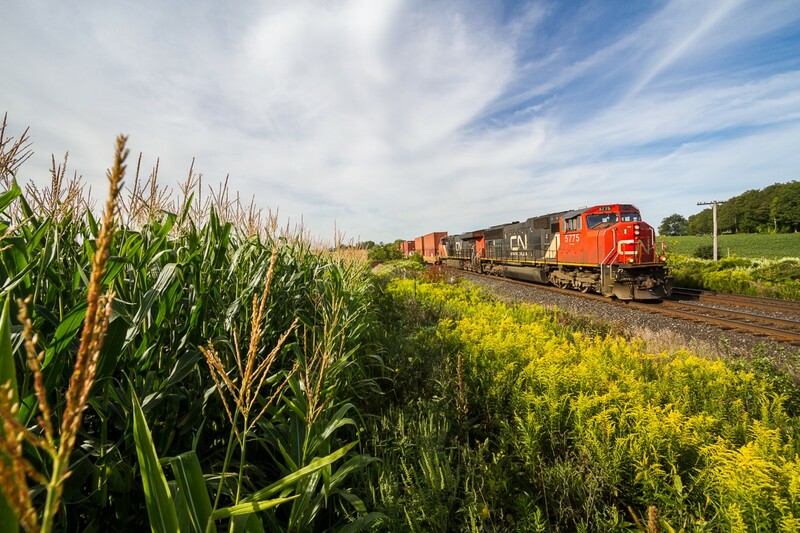 Railpictures.ca - Ryan Gaynor Photo: The first signs of Autumn are in the air as tall cornstalks sway in the morning breeze and Canadian National hotshot no. 148 rolls by. | Railpictures.ca – Canadian Railway Photography – photographie ferroviaire Canadienne. Caption: The first signs of Autumn are in the air as tall cornstalks sway in the morning breeze and Canadian National hotshot no. 148 rolls by.